Thinai Payasam| Thinai Paruppu Payasam| Foxtail millet Moong dal Kheer| Millet Payasam is an easy to make healthy version of a normally rich payasam. I love the texture of thinai in this payasam. It feels like sago pearls when you consume the payasam. 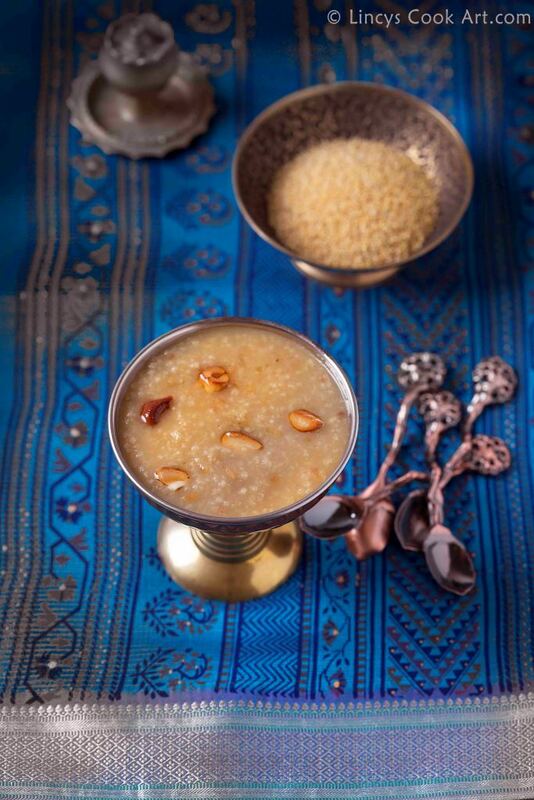 The taste of this millet payasam was really amazing. I can taste this payasam with out much guilt which I feel while consuming other desserts. 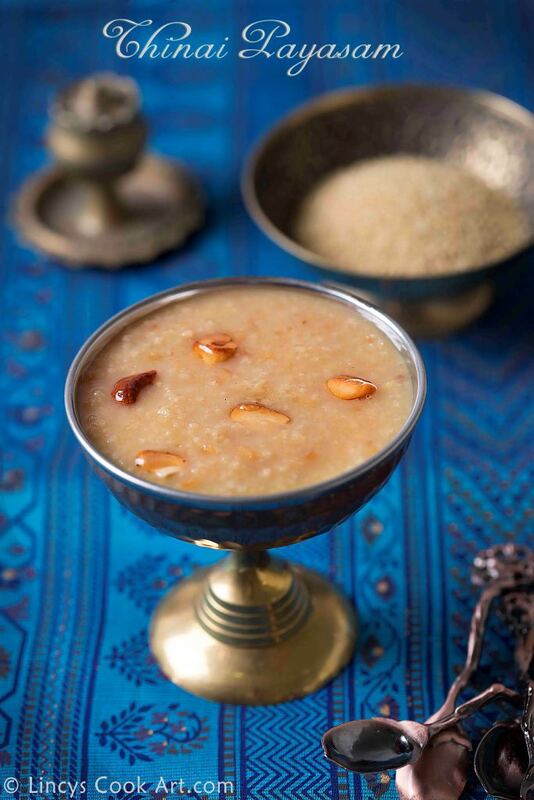 You could make this payasam with out adding moong dal too.I will share that version later. I felt adding moong dal increases the taste of the payasam. Dry roast the foxtail millet inside the pressure cooker till nice aroma comes out; set aside. Now roast the moong dal till light golden colour appears. Wash them in water if required and pressure cook with 4 cups of water for about 4 whistles on medium flame. When the pressure releases open the pressure cooker and add the jaggery/ Jaggery syrup(Heat the jaggery in a pan with ¼ cup of water and make syrup and strain to remove impurities) with cardamom powder. 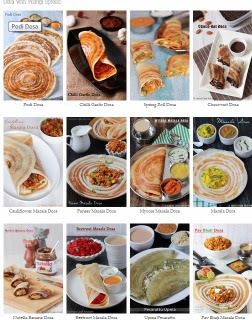 Mix them well and cook for 5 mins. Add the milk and bring it to boil and immediately switch off the flame. In a pan heat ghee and fry the cashewnuts, raisins and coconut together till golden colour. Now add the nuts with ghee into the mixture and mix well, then switch off the stove. Note: You could replace cows milk with coconut milk or you could use 1:1 ratio.